way to move long distance. 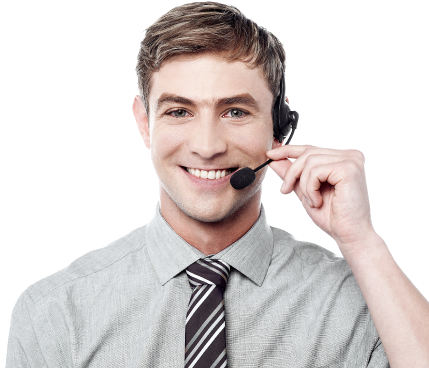 Get an instant price quote! Why pay for high-priced moving companies? Go U-Pack® and save big! It’s the “you pack, we drive” moving company that makes staying on budget easy. You pay only for the space you use, so you know the exact price as you load. 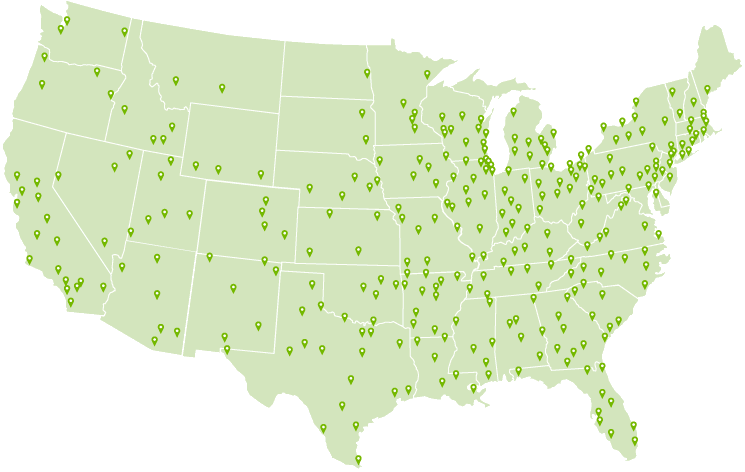 No surprises and no hidden fees. Get a quote from U-Pack today and see how we compare to moving with full-service movers, rental truck companies, PODS® and other self-move services. You unload & you're done! Say goodbye to high-priced full-service movers and truck rental. 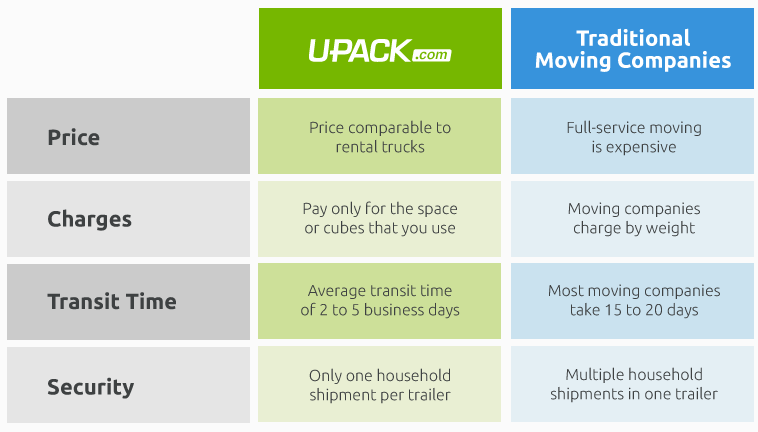 U-Pack is changing the way people move. With flexible service options like door-to-door delivery, storage, and guaranteed transit, you get a move that fits both your needs and your budget. Have any questions? We've got the answers. Still considering a traditional moving company?